Pierce Brosnan may have played James Bond in some movies, but it doesn’t mean the 61-year-old actor is any good at playing James Bond in video games. 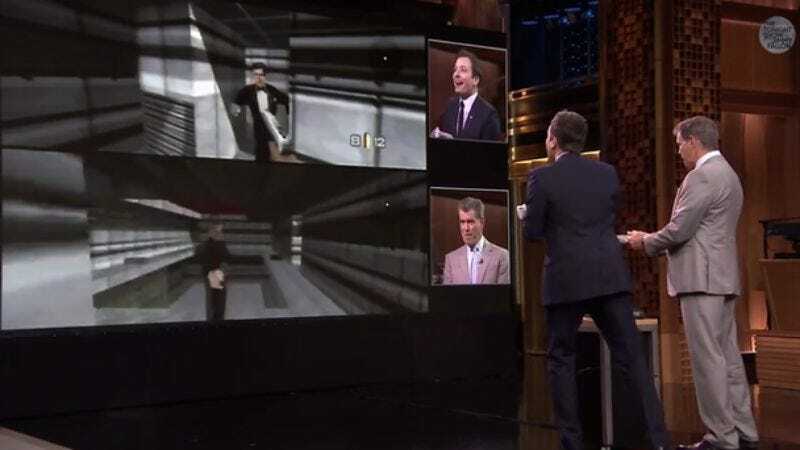 The world found that out last night on The Tonight Show, when Brosnan accepted host Jimmy Fallon’s challenge to play him in the Nintendo bestseller, GoldenEye 007. Unable to find his gun or stop karate-chopping himself in the face, Brosnan was quickly killed by Fallon’s Alec Trevelyan character, who was armed with the DD44 Dostovei and—clearly—far more gaming experience than Brosnan.